A fellow Twitterer – http://twitter.com/txvoodoo – and I have come up with a proposal to create a new hashtag: #bipart. To be used by #tcots, #topprogs, and completely unpolitical people of all kinds who want to discuss political issues not with true believers only, and not with the intention of offending others, but with idea of challenging people of all opinions to participate in the exchange of ideas and challenges to orthodoxies or party platforms. Great idea! Getting something like this started is a bit of a chicken-and-egg problem: until there are enough people following it, it’s hard to get good debates going, and until there are good debates going people won’t follow it. That’ll change over time, though. So one way of dealing with disruption is to engage with people and suggest they continue their debate on #bipart rather than the other hashtags. What about the people who decline? The best thing to do is to ignore them: please don’t feed the trolls. Trolls usually are searching for attention; if they don’t get it, they go away. Last night, even when the arguments were flooding the “unfiltered” #p2 channel, this search reduced the noise to virtually zero. How cool is that? Especially when combined with the #bipart hashtag, it can make a big difference. In the future, I can imagine clients like Tweetdeck making this even easier, perhaps using some of the ideas from Usenet killfiles. So give it a try! PS: we’ll be discussing this along with other topics related to progressives on Twitter in Monday night’s #p2 Twitterchat. Please consider joining us! ** of course there are exceptions. Last summer, progressives intentionally attempted to disrupt the #dontgo channel. See Tracy Viselli’s The story of #dontgo on Reno and its discontents for more. *** Vann Schaffner’s Free Swim proposal was an earlier idea along similar lines, in response to progressives trolling #tcot. Posted by jon on Friday, February 20th, 2009, at 12:45 pm, and filed under Professional, social computing, Tales from the Net. A bit techie for the masses, but it’s great idea, and yet another reason why Twitter is such a useful tool for online politics. An Ignore feature would be great … what I want is a little more, though: ignore, and ignore people replying to this person. For example, I wouldn’t want to ignore either of you; but, if you wound up in a heated discussion with somebody who I’m ignoring, I’d just as soon not see those posts. Things are moving fast in client-land, though, so hopefully Tweetdeck and other clients will wind up supporting that at some point as well! And good feedback on the techiness, Carlo. Tracy and I will be talking about this as well as other topics at NIM in Reno in a couple of weeks, so it’s particularly useful. I’ll think about how to simplify things. I have been using monitter of late and really loving it because three searches go on simultaneously. I do not know if the Twitter search controls work with monitter or not, but I probably would be more inclined to keep the trolls in view, just for the heck of it. Although on a personal note I block all trolls and other pervs, that cannot be done with a hashtag community. What is the point of a hashtag community anyway, if not openness? Although I am new to this community (Twitter), I am not new to politics or heated debates or technology, for that matter. I think debates are good. 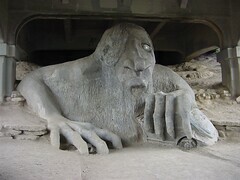 One person’s troll could be another person’s convert – it is possible. Although we probably would all agree on what is not allowed, we may all disagree about what is allowed, considering there is a hazy, grey zone in all interpretations of reality. As a professor of educational anthropology I have taught many courses on race and diversity. My students were often white elite females. I have learned that it is better to love everyone openly even if those people are closed minded. Perhaps it would be okay to have someone like Joe, or whomever, step in as moderator such as in a forum? The moderator could suggest through DM, if possible, or if not DM, then replies without the hashtag, that the discussion take place elsewhere. Or if the individual was abusive, everyone involved should block him or her and not use the hashtag or change the hashtag in extreme cases. Perhaps there should be a back up hashtag used that is more secretive for that evening or week or so. thanks for comment, DJ … excellent point, and it was great discussing this in chat last night. more soon…. STOP THAT! “Please don’t feed the trolls”!!!! WNCGOP wasn’t spamming any hashtags. If people ignore him, he’s likely to get bored. As Tracy Viselli pointed out in email, the key is to engage without giving positive feedback. So I decided to give negative feedback. Since trolls love attention, why not encourage people how to ignore them — and give steps to make it easier. And it appears to have worked! People stopped responding to the WNCGOP, and he dropped the personal insults. I wonder if we’re on to something here? The funniest part about it is that I send them a link about a Republican senator promoting what some would call socialism–what Republicans are fond of accusing Obama of–and they retweeted it! « Facebook reverts to previous TOS. A win for social network activism!